Whether you own a car as big as an S-Class or as small as an A-Class, Brabus has just the right aftermarket package for your Mercedes. 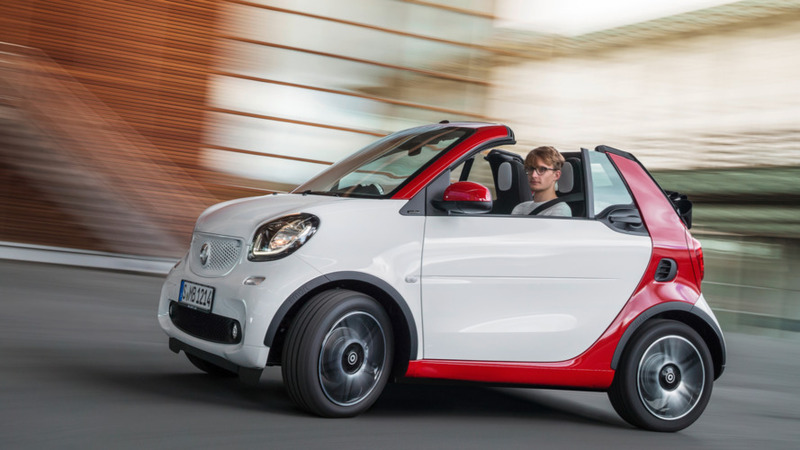 In fact, it has also developed an array of upgrades for Daimler’s smallest car on sale today, the minuscule Smart ForTwo. After coming out with a bonkers 201-horsepower electric concept last year based on the coupe, the tuner from Bottrop is now unveiling an amped-up version of the droptop model. It’s called the 125R and takes the shape of a feisty cabrio that can do 0 to 62 mph (100 kph) in 9.2 seconds before hitting an electronically limited 109 mph (175 kph). These numbers might not be impressive, but keep in mind the car still has the tiny 0.9-liter turbocharged gasoline engine with just three cylinders. In typical Brabus fashion, it has been massaged to extract more power – now at 123 hp (92 kW) and 148 lb-ft (200 Nm). To keep it exclusive, the tuner will be converting only 125 examples of the Smart ForTwo Convertible and will sell these with a choice between a matte titanium and glossy black exterior finish. Depending on the one you go for, some of the body parts come in a contrasting red or black shade. 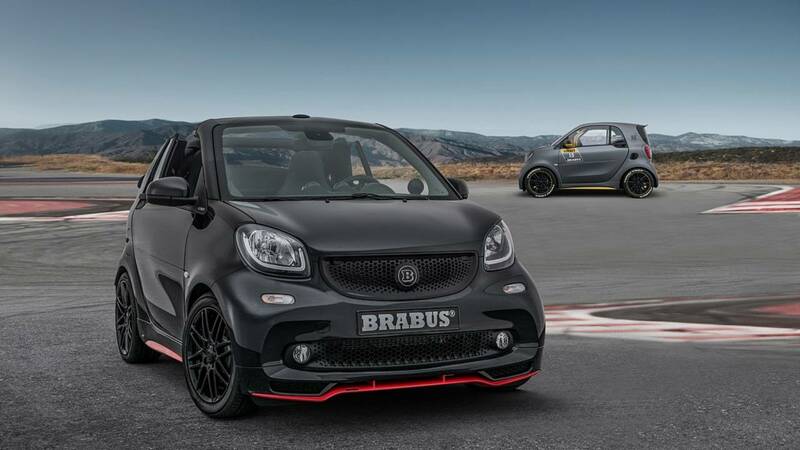 Brabus will install a stiffer suspension setup lowering the pint-sized machine by 1.2 inches (30 millimeters) and it’ll get rid of the stock wheels to replace them with a custom set measuring 16 inches at the front axle and 17 inches at the back. The bodywork has also gone through a few changes to complement the upgraded engine and there’s even a custom exhaust system with three tips reminding us of the Ferrari 458 Italia. Further tweaks have occurred inside the cabin where the 125R has a pair of body-hugging sport seats wrapped in black leather and adorned with red double seams. The aluminum pedals and footrest together with the anodized paddle shifters and parking brake lever round off the changes. 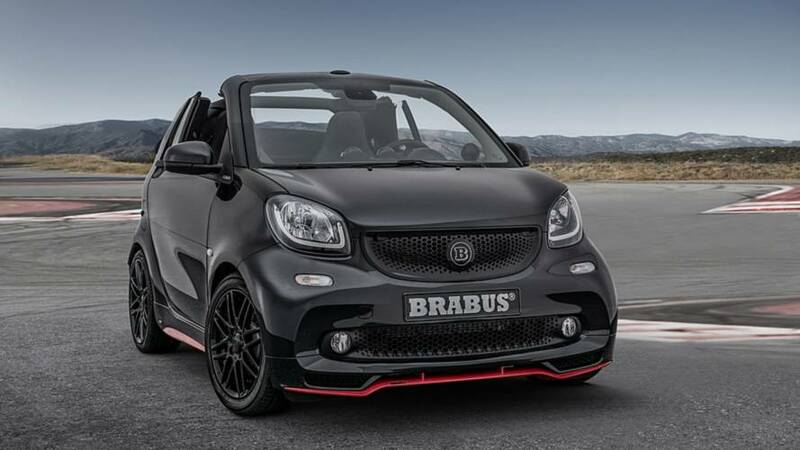 All these niceties come at a cost as Brabus is asking €39,900, which works out to about $46,260 at current exchange rates.